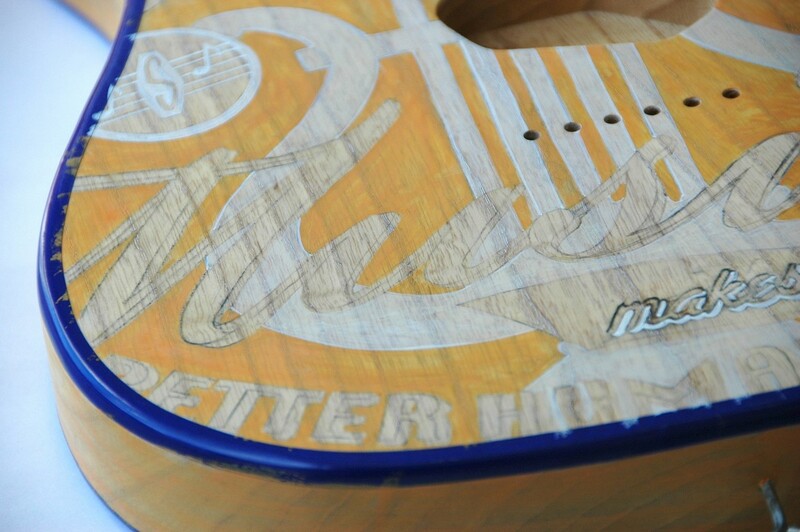 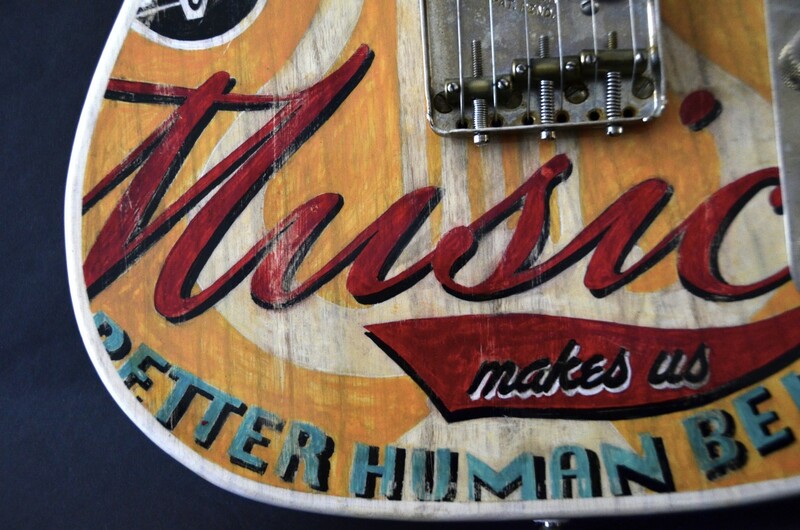 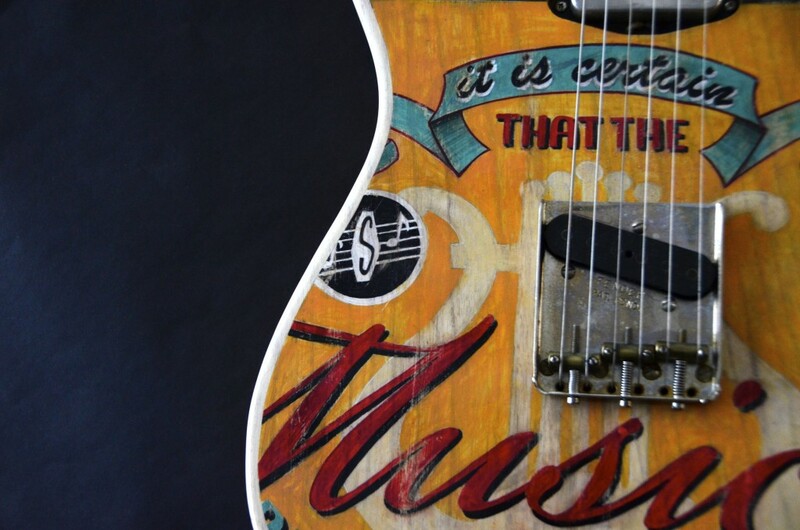 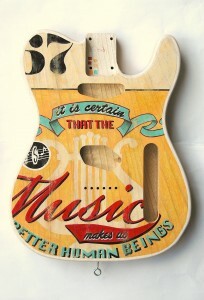 My third painted guitar is dedicated to Music, that makes us better people. 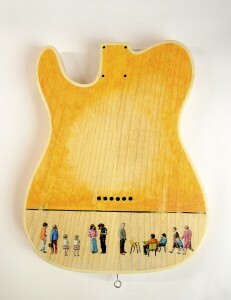 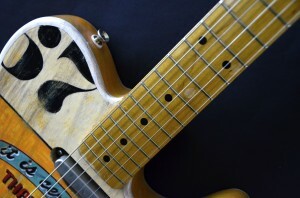 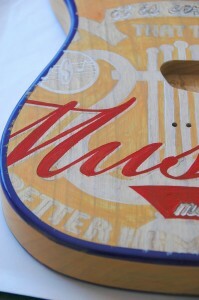 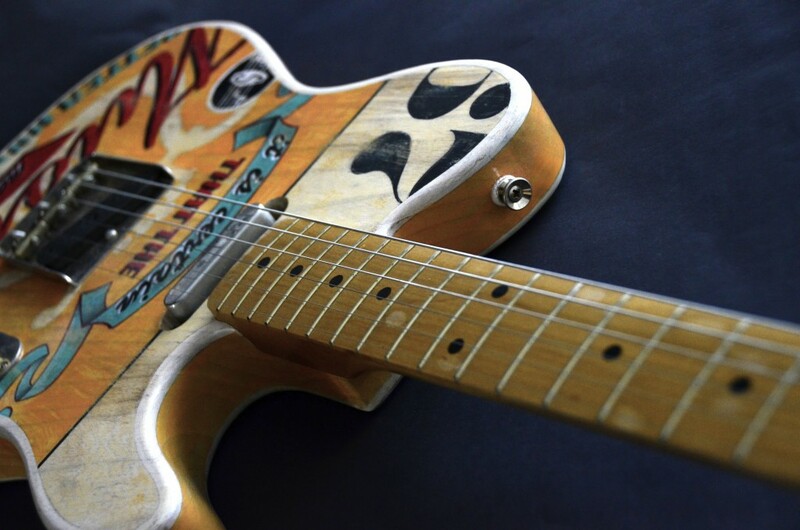 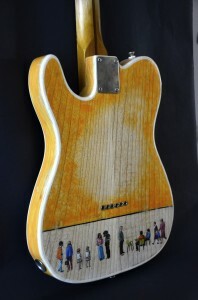 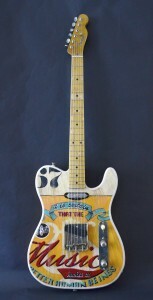 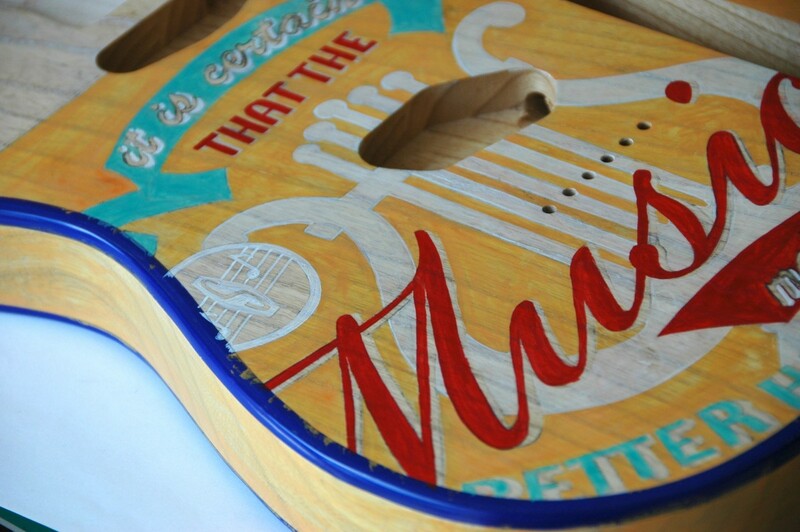 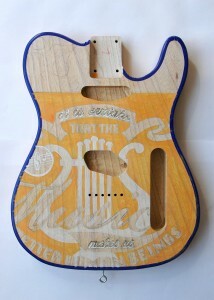 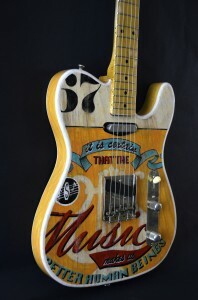 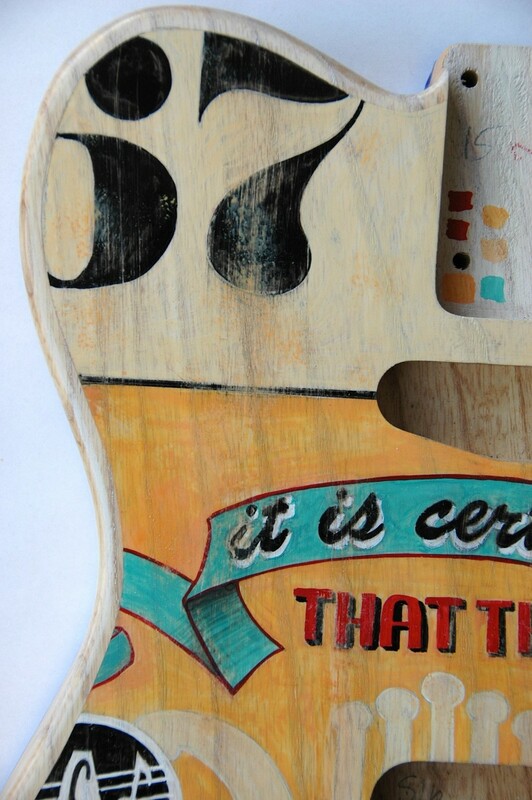 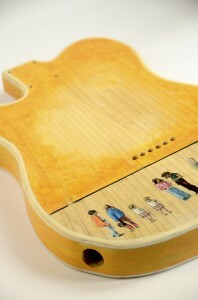 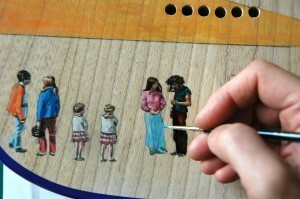 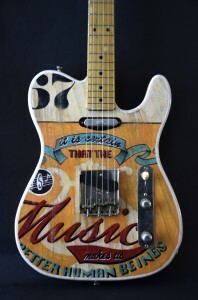 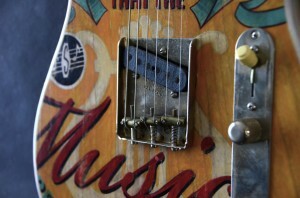 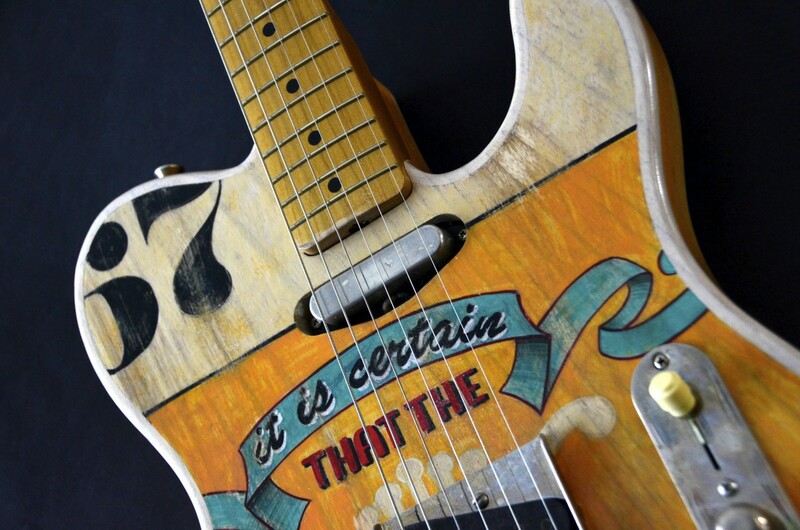 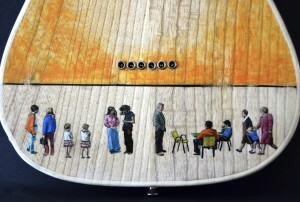 The body of the Telecaster is made ​​of ash wood, I have painted it with watercolors and acrylics. 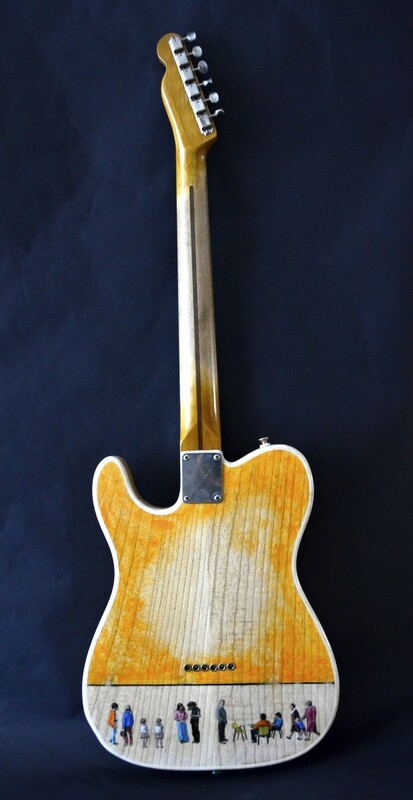 The components (neck made of maple wood from 42nd Street Guitars , mechanical parts Heavy Relic), have been assembled by our friend Mirko Pangrazzi of MPL Guitar which has also carried out varnish and set up.